Planning a meal out with friends and family this Christmas? Living in Dubai, we are spoilt for choice. Beat the holiday rush, and make a booking ASAP! I’ve compiled a list of enticing festive offers by some of Dubai’s best-loved foodie haunts. Hope you find this directory useful, Merry Christmas! Overview: Throughout December and up until the New Year, Eloquent Elephant, Taj Dubai’s friendly neighborhood gastro-pub, has something special for this festive season. Overview: This Christmas Eve, enjoy a decadently festive Indian fare created by celebrity Sanjeev Kapoor. Signature by Sanjeev Kapoor will serve a refreshing welcome sherbet, and mouth-watering assorted kebabs plus Tawa, Ghara and Kadhai including wok tossed button mushrooms and bell peppers baked with bocconcini cheese. Other incredible dishes include Tawa Lamb Chops, Mangalorean Fish Curry and Whole Spice Braised Smoked Chicken Stew and Lalla Mussa Dal. A special selection of Indian sweets with a festive twist will be served as well including flavored Shrikhand, Carrot and Gulab Jamun Stuffed Chocolate Pani Poori and fresh fruit skewers. Overview: Festive fever is on at Holiday Inn Al Barsha. From 16th December till Christmas eve, a live choir will be performing from 7pm onwards. On Christmas day, the choir will play from 1pm – 2.30pm. What a lovely way to ring in the festive cheer! Overview: Buffet on offer with Live Entertainment. Overview: Choice of either a 5 course set menu or a la carte dining this Christmas Eve at Bussola. Overview: Enjoy the Flavours of Thailand in this festive family style sharing set menu or a la carte dining. Overview: Enjoy this 4 course set menu or a la carte dining to see you through to your Christmas morning. Overview: Enjoy a Christmas Eve buffet with family & friends. Overview: Taking a “the more (food), the merrier,” approach to Christmas, American Sports Bar Original Wings & Rings will be serving an extensive buffet with a traditional spread including Roast Turkey with stuffing, Mashed Potatoes, Apple Pie, Christmas pudding and more. Overview: Celebrate the final countdown to Christmas at Vivaldi by Alfredo Russo. With a Christmas Choir performing all your favourite Carols and a DJ, it’s a three course meal with a festive difference! Overview: Enjoy Ashiana’s a la carte menu with a special bottle price and live entertainment. Overview Enjoy a buffet of all your favourite Japanese dishes, with or without house beverages, for a final Christmas countdown. Overview Enjoy a set menu dinner at The Big Easy this Christmas Eve. Overview Bring the family and enjoy a BBQ evening on the terrace this Christmas Eve. Overview Christmas Eve will be packed with the season’s cheer, featuring an a la carte menu with festive specials. Classic roasted chestnuts will also be available on the barbeque terrace, a perfect place to spend the night before Christmas with your nearest and dearest. Overview: Fume, the funky neighbourhood eatery offering fusion cuisines from around the world, has created a very special set brunch menu for Christmas day! They are also offering a special edition festive menu from 20th to 26th December, and it is sure to be a hit with the entire family. Overview: A Christmas brunch like you’ve never seen before! 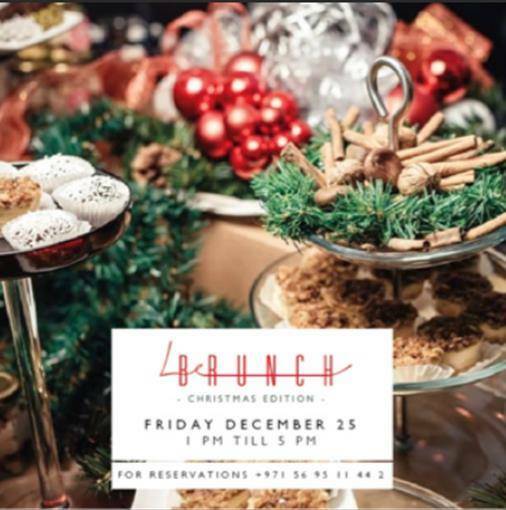 Iris Dubai offers its own take on festive jollity with the Christmas edition of their famous Le Brunch on December 25th, complete with snow decorations and delicious treats for the holiday. A live band and cheerful décor will complete the ambiance for an unforgettable day with friends, family and great food. Overview: The Westin’s restaurants combine for a festive Christmas Bubbalicious – join Hunter’s, Spice Emporium and Blue Orange for a fabulous Christmas feast, complete with live entertainment. Overview A fun family feast this Christmas, with free flowing champagne and live entertainment. Overview: Dubai’s best party brunch is hosting a Christmas Day special, with the best in live entertainment, free flowing beverage and mouthwatering Asian cuisine. 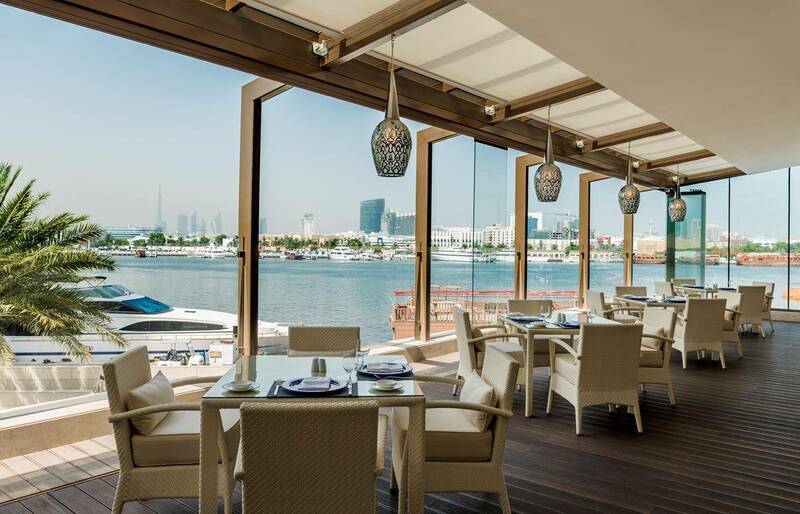 Overview: Two of Dubai’s newest restaurants are offering a full day and night of festive fun. Enjoy a lively Christmas Brunch at Crab Tavern, before heading over to Spirito for an evening of Natal Brazilian Carnival! Overview: Guests at The Hide this Christmas can feast on a sharing style menu of traditional whole roast bronze turkey with all the trimmings, beef tenderloin and the meatiest of dishes, the Turducken (A Turducken is a chicken stuffed into a duck which is then stuffed into a turkey) Head Chef Brian Voelzing will also be preparing a traditional ‘ballontine’ with turkey breast, Spanish cured beef, herbed chicken mousse and then duck confit. All this will be served with duck fat roast potatoes, Brussel sprouts and heirloom carrots. Overview: Taking a “the more (food), the merrier,” approach to Christmas, American Sports Bar Original Wings & Rings will be serving an extensive buffet with a traditional spread including Roast Turkey with stuffing, Mashed Potatoes, Apple Pie, Christmas pudding and more. With Happy Hour following from 3pm-7pm, diners can round off their Christmas meal with great deals on selected beverages. 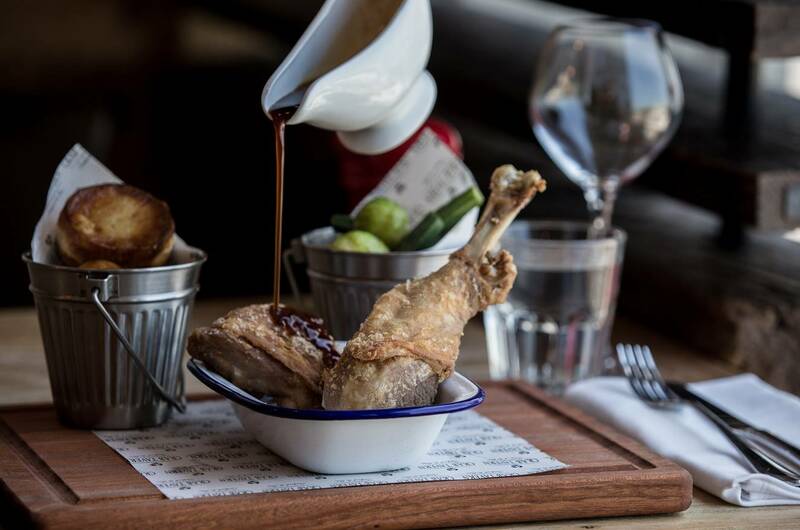 Overview: Relax and get cosy with your family and friends this Christmas, and indulge in a hearty three-course brunch at this effortlessly classy gastropub. American-inspired favourites include Squash Soup, Smoked Duck Salad, slow cooked Roast Turkey, Atlantic Cod and Corn-fed Chicken breast, amongst others. Groove to classic festive tunes as you delve into the best part of your meal – dessert! Think Yule Log, classic baked cheesecake or Key Lime Pie with Raspberry Sorbet. Loosen up your jeans, fill up on the stuffing and get festive with The Black Lion. Alternatively, if you’re looking for an evening celebration after your gifts have been exchanged, The Black Lion is offering a full a la carte menu with festive specials. To keep you feeling jolly, the ever-popular late night lock-in menu will also be available from 11pm-3am with melts, pizzas and more. Wear your worst (best!) Christmas sweater and join in the celebrations! Overview Reform will be starting Christmas day off the full English way. Enjoy a full English breakfast with all the trimmings. 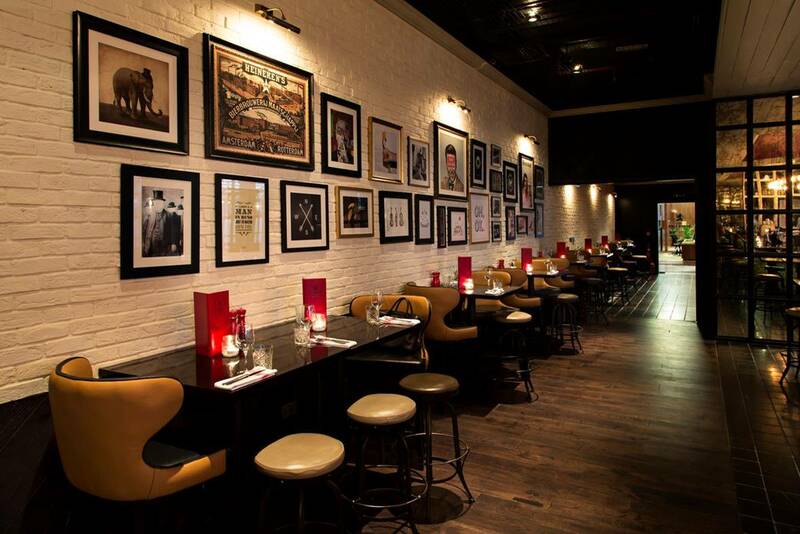 Overview: Round up the family and head down to Reform Social & Grill. Enjoy a Merry Christmas day brunch with festive specials. A children’s menu is available as well as a line-up of entertainment for the kids including a special visit from Santa! Overview: Host a Christmas party for all the family and friends at Reform! Canapes and flowing champagne included in the package. Overview: Celebrate Christmas with your loved ones at Vivaldi by Alfredo Russo. With a Christmas Choir performing all your favourite Carols and a DJ, it’s a three course meal with a festive ambience! Overview: Enjoy your Christmas night and join us after you’ve exchanged gifts. Overview: Enjoy a buffet of all your favourite Japanese dishes, with or without house beverages on Christmas night, once all of your gifts are unwrapped. Overview: Enjoy an all you can eat Christmas BBQ Lunch at Hatta, with a Christmas Choir performing all your favourite festive carols, and a house musician throughout the day. Package price includes use of the Sheraton pool area. Overview: Enjoy the Big Easy Brunch, Christmas style! With all the regular favourites and free-flowing house beverages including Big Easy wines, it’s a fun Christmas Day that the whole family will love. Overview: Enjoy a traditional Roast dinner this Christmas Day, with all the trimmings. Bring the family for a laidback Christmas lunch that feels just like home. Overview: Christmas Day will be packed with festive cheer, with Christmas breakfast served from 8am until 11.30am. Starting from noon, the brunch features a four-hour drinks package. A festive a la carte menu will also be available for Christmas dinner. Book your tables in advance to avoid disappointment. On December 24, the venue will offer an a la carte menu with festive specials, and classic roasted chestnuts will be available on the barbeque terrace. Overview: Enjoy a lavish Christmas buffet at Holiday Inn Al Brsha’s Gem Garden restaurant, complete with a turkey carving station! Enjoy the music of the live Christmas choir at 1pm. Numaish: A chat with Manisha Kumar Chhabra, the lady behind one of UAE’s most coveted fashion exhibitions.